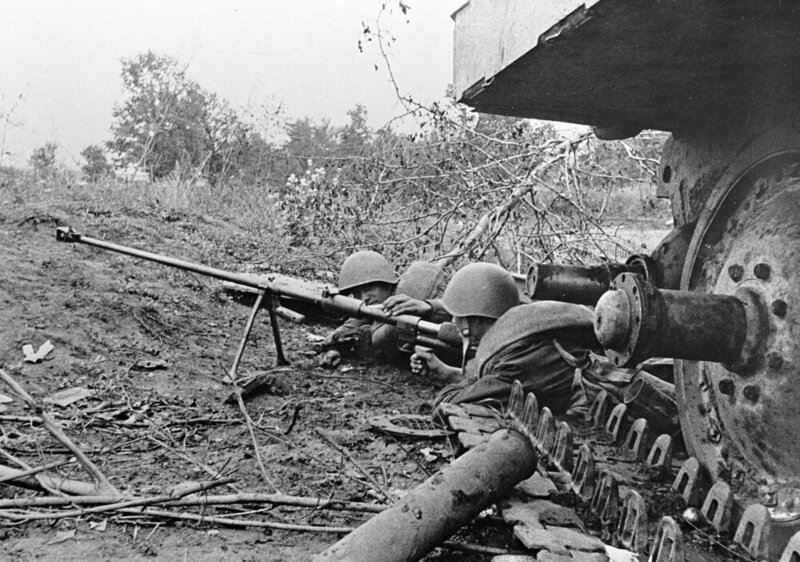 Notes The PTRS-41 (Protivo Tankovoye Ruzhyo Simonov) was a semi-automatic anti-tank rifle which had a five round magazine. It was issued in the same way as the single shot PTRD-41 and both weapons had a similar performance. The PTRS was not as common as the cheaper PTRD and was a more complicated weapon. It too was found to be obsolete by 1943, but was still retained and issued to anti-tank rifles companies.